Brandy Cardenal Mendoza is a Gran Reserva solera made from a selection of the best alquitaras holandas, which are aged by the traditional system of soleras. 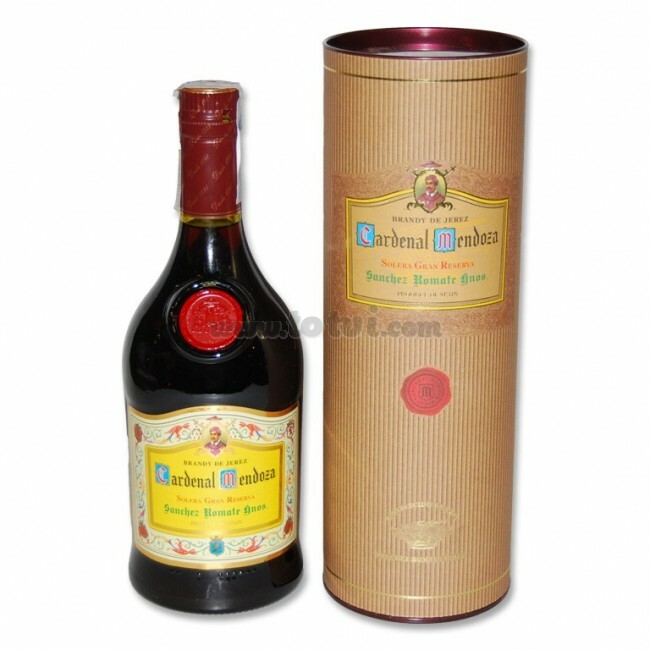 It has a great personality, harmony of nuances and the deep memory of raisins and plums. Brandy Cardenal Mendoza is a solera Gran Reserva made for private consumption but thanks to its unique and different flavor, its fame grows and is started to commercialize. Elaborated from a selection of the best alquitaras holandas, which are aged by the traditional system of soleras. The set of barrels of Cardinal Mendoza make up one of the biggest wineries of Solera Gran Reserva, guarantee of the oldness and quality of this brandy. Bright, transparent, dark mahogany color. Round aroma, clean, elegant and vinous. The palate is balanced and persistent. It has a great personality, harmony of nuances and the deep memory of raisins and plums.